Guyana is a country lying on the north east coast of South America. It was previously known as British Guiana and before that Dutch Guiana. It gained independence in 1966. Its population is about three quarters of a million people in an area similar to the UK and it is the only country in South America where English is the main language. It has some of South America’s largest unspoiled rainforest (70% of which is pristine), much of which is inaccessible. In Guyana, 64% of the population regard themselves as Christian and about 25% Hindu. The Society has a presence in 8 of the 10 administrative regions. At present, there are 15 Conferences twinned with SVP Conferences in England & Wales, providing both financial and spiritual support. In 2015-16 we sent £2,325 to Guyana. The Society manages four homes for the elderly and we have provided some support for their maintenance. Over recent years, a number of small projects have also been set up. These comprise, for example, chicken rearing, sewing, an SVP shop and maintenance of a home for the elderly. Most of the small projects are aimed at raising funds to enable the Conferences to purchase food for those need within their communities. St. Thomas More men’s home (21 residents and 3 staff) needed exterior and interior maintenance. It needed the exterior and interior painting, roof maintenance, window replacement, wall repairs and windows replacing. 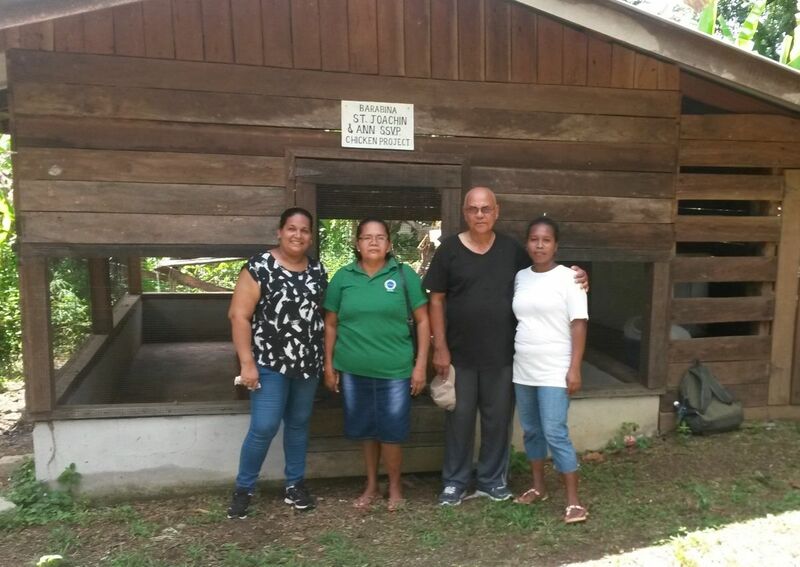 The work is being managed by sub-committee of Guyana’s Supreme (National) Council and the cost of £19,000 financed by Twinnage. Our Lady of Lourdes, Hosororo (in Region 1) have set up a sewing project giving employment to about 15 families. They need sewing machines, a generator and to undertake some building repairs. They will make school uniforms and other clothing. The cost of £5,800 is mainly from Twinnage. 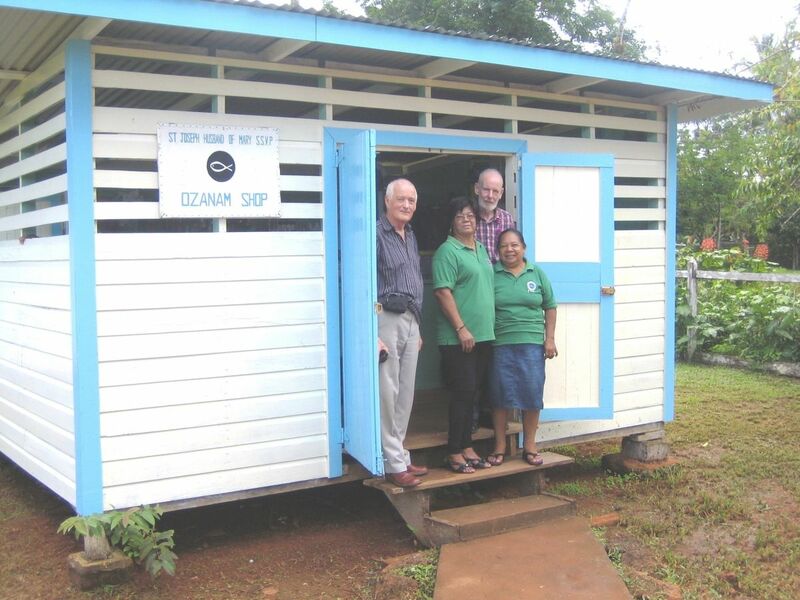 Our Lady of Lourdes, Mabaruma, (in Region 1) needed an extension of their SVP shop to provide printing and copying services. The proceeds from the business will support families with food hampers, hot meals, clothing and funeral expenses. Money was required to finance the extension, purchase hardware and buy a generator. The cost of £4,450 will be provided from Twinnage.